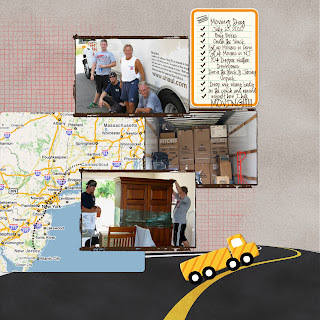 I talked about my recent moving experience in a prior post so here is a little sample of what was going on. Trust me those smiles were not on their faces after about 8 hours of trying to fit all our stuff in the truck. Hope you enjoy. I think this LO is great Joan! It really captures what your moving day looked like. Way to go with Apple! I'm jealous that you'll be breathing all that luscious Apple goodness! Congrats & good luck!